Where is Anna Riedl from? From the beginning of my research, I focused on finding my great-grandfather Josef Vopat’s ancestors in Czech Republic. After all, thanks to my brother and a cousin, I had information on him and had a place to start. I kept batting zero and finding no information, because the parish his family came from is still not digitized. Suddenly, I saw a location jotted on one side of the notes my grandmother had written. It simply said Dobric, Kralovice, Czech. It was not really attached to anyone in particular, but it was near the notes for Anna Ridl. So, I started trying to figure out where Dobric was located. I hit google maps, because that is an easy way to find locations if they still exist. It was fairly close to Kralovice and Hadacka (which is where Josef, her husband was supposed to be from.) So, I decided to see if the records were online. I went to Genteam, a great website that helps locate the parish for individual towns in places that were part of the Austro-Hungarian Empire in centuries past. There were several towns close in name to Dobric, but only one with the exact name in the Pilsen (Plzen) Region of the Czech Republic. According to the website, Dobric belonged to the Plana okres Plzen parish. 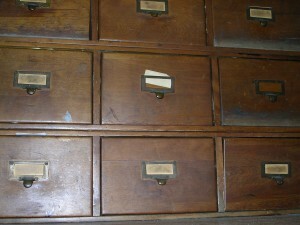 So, I headed to the website Actipublica website that houses all of the Czech Republic historic archives. I found nothing. I found nothing, because I did not need to search the whole Plana okres Plzen on the website. After some conversation on a genealogy message board, I discovered that I only needed to put in Plana. I went back to the website and put in Plana. Up popped a list of the records, including the records for Dobric in the year 1870, Anna’s year of birth. It only took a few minutes to page through and there she was. I was so excited I did a happy dance. I could barely read the archives, but it was clearly Anna Riedl (not Ridl, as I had in my notes) there. Right birthdate, 2 April 1870. A few of the details were not quite the same, but were pretty darn close. For example, I had Blous for Anna’s mother’s maiden name. It was Ploss. Pretty close, I think. Anna’s parents are Frantisek and Barbora Riedl. They indeed lived in Dobric, at house number 32. They married 31 January 1871. Two children were born prior to their marriage. That kind of shocked me. You don’t expect ancestors born so long ago to have children before getting married, but I guess people have always been what they are! After some digging, I discovered Anna had three brothers and two sisters. Josef was born in 1868, Frantisek in 1877, and Vaclav in 1884. Anez’ka, Anna’s sister, was born in 1880 and Marie, another sister was born in 1889. Anna could never have known much of Marie, because she was only a few years old when Anna immigrated to the U.S. Interestingly enough, the name Riedl was sometimes spelled Ridl. The old archives were not very consistent. 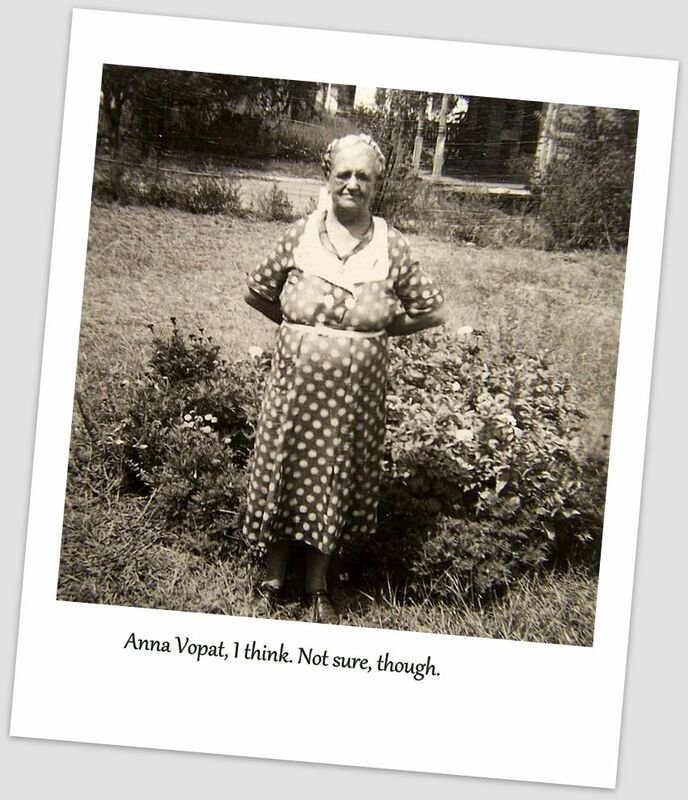 And so, I am finally getting to know my great-grandmother. Just Who Were the Bartuneks? Josef and Maria/Mary Bartunek were my great-great grandparents. They came from somewhere in either Bohemia or Moravia, arriving in Kansas sometime before 1890. That pretty much sums it up what I know about the Bartunek family. I heard plenty of tales about the Vodraska family, my other set of great-great grandparents on my maternal grandmother’s side of the family. Not so much about the Bartunek family. My great-great grandmother, Maria/Mary Rosenkrantz Bartunek, was said to have worked rolling cigars in a cigar factory in New York City before they came west to become farmers in Kansas. At least, that is one rumor I have heard. A brother of Mary (Bartunek) Vodraska was said to have liked to drink and tended to get mean. So, my mom disliked him. Again, it is only a rumor. Someone in the Bartunek family had triplets. I’m not sure which Bartunek family this is and I can’t find triplets on the census, but I am pretty sure that I have the right last name for these kiddos. 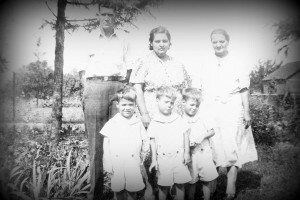 I remember talking with my grandmother, Mildred (Vodraska) Vopat, about the Vodraska family. Her father only had one living sister and her name was Rose. I either never had the conversation or my grandmother never mentioned the Bartunek side of her family. So, I delved into the Bartunek family on Ancestry.com to find a bit more about them. This is a bit hard to follow, so you may have to read this paragraph twice. My great-aunt Rose Vodraska Vondra had a daughter Mary who married Mary Bartunek Vodraska’s younger brother Frank. So, I learned there is more than one connection to the Bartunek family, if I am reading my census records correctly. The Frank Bartunek family left Kansas and moved to North Dakota before 1920, so they are a bit less connected to Ellsworth County. I’ve been told that the family lived for a long while in the states before coming to Kansas, so long that Mary was born in New York. However I located a ship manifest from The Main in August 1874 listing Josef, Maria, Maria and Anton Bartunek arriving in the U.S. I tend to think this is when they arrived, but that would mean that Mary was not a natural U.S. Citizen and neither was Anton. All of these facts added together equals a bunch more research needed before I can talk much about the Bartunek family. I definitely need to find some living relatives that can and will share what they know with me! Drop me a line if you have information that might be relevant to my Bartunek family! I have been scouring the web for all things Ellsworth County, Kansas, especially for genealogy information that may be posted somewhere. I have not found a huge amount of anything, but I have found a few items. So, here is my list of Ellsworth County, Kansas Genealogy Research Links. Here is a nice article on the history of Ellsworth. Interestingly enough, it is on a message board website called PA Roots. It includes message board on a variety of states, including Kansas. It is not very active, however. The articles on the site are transcribed from William G. Cutler’s book A History of Kansas, published in 1883. The Kansas Historical Society has a great bibliography if you want to take the time to find and read some books on Ellsworth County. I have not had the ability to get a hold of these books, but when I return to Kansas, I hope to find some of them. Here is a bit of information from the Blue Skyways’ Kansas website. It isn’t much, but it does provide a bit of this and that. The information on the Ellsworth Historical Society is helpful if you are planning a visit to Ellsworth. And, even the Drover’s Mercantile has a page on Ellsworth history! Blue Skyways’ Ellsworth County Genealogy from the GenWeb Project has a page full of links to miscellaneous genealogy information and records. The 1940 U.S. Census is available for free online. This can be accessed in different places. Family Search, the website for the Church of the Latter Day Saints (the Mormons) has a free lookup for many census records from 1790 to 1940. You can also look up the 1940 Census on the National Archives’ website. The Kansas Historical Society (KHS) has several plat books online, which show ownership of land. This one is from 1901 and this one is from 1918. I found it interesting that the farm of my great-grandparents was listed under my great-grandmother’s name rather than her husband’s name. The Kansas Historical Society has part of its collection digitized, so all the items that are available online relating to Ellsworth County can be be accessed through this page. KHS has a main genealogy page, as well. A group called The Kansas Heritage Group has a page of resources on their website, as well. It is not too bad, but I sure could do with out the chicken jayhawk decoration! Always the Wildcat! There are many more genealogy resources for Kansas, I am sure. This is just a starting point. If you know of any good resources, especially for Kansas and Ellsworth County, please share them in the comments!